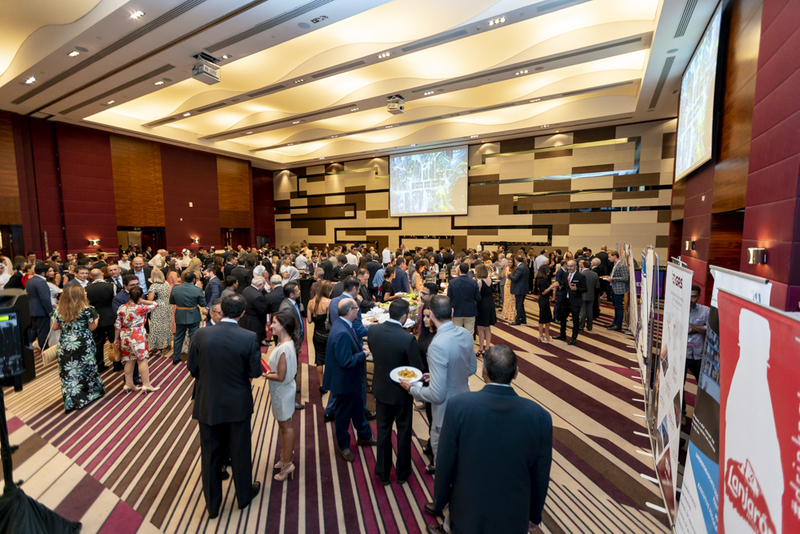 The Spanish embassy in the United Arab Emirates, in collaboration with the Spanish Business Council, organized a very special celebration at the Fairmont Bab Al Bahr Hotel of Abu Dhabi on October 12, on the occasion of the National Day of Spain. Around 1,000 people attended, including members from the Spanish community in this country, diplomatic representatives and local authority. GRS was one of the corporate sponsors of this event, proving once again the huge importance of the United Arab Emirates for the company. Waleed Alenaimi, General Business Manager of GRS in the UAE, and Maider Azcuna, Financial and Administration Manager, represented the company at the event. Antonio Álvarez Barthe, Ambassador of Spain in the UAE, thanked the sponsors for their support and highlighted the excellent commercial relationship between the two countires: in 2017, Spanish exports to the UAE reached 1.74 billion euro, and Spanish imports from the UAE totalled 340 million euro. Thani Ahmed Al Zeyoudi, Minister of Climate Change and Environment of the United Arab Emirates, also attended the event. The attendees had the chance to try some of the best Spanish products, offered by the sponsor companies: ham, beer, wine, etc.